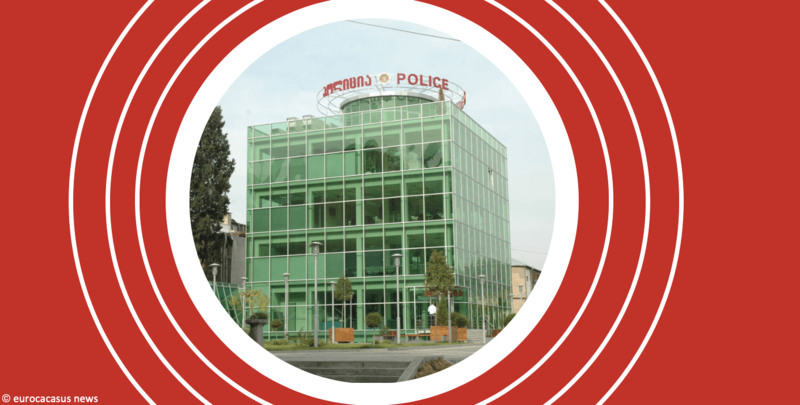 Police station architecture in the Republic of Georgia is indicative of one the most consistent political themes of the country since 2004 – transparency. With the election of Mikheil Saakashvili, Georgia entered a period of rapid political reform. Central to this was the government’s efforts to curb the widespread and almost universal corruption that had defined the 90’s. One of the most symbolic ways in which these reforms manifested was the development of the new police stations across the country. These buildings are glass top to bottom, meaning that any passerby can see what is going on inside. This was done to combat the tarnished image of the police force, at the time one of the most corrupt and dangerous institutions in the country. However, Georgians are quick to joke and point out that these buildings still have blinds which can be pulled, obscuring what is going on inside. Trust in the police is now high, but the blinds serve as an apt metaphor for the problems which plague Georgian democracy in 2019. 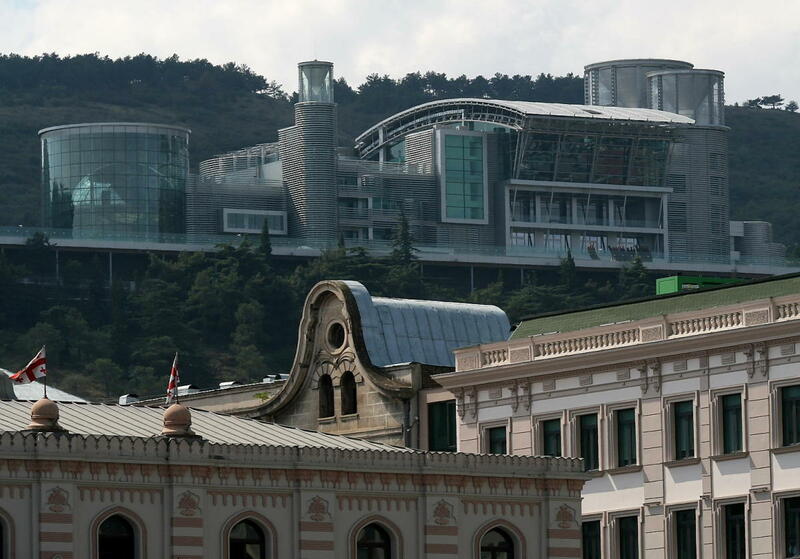 Fittingly, issues with democracy in modern Georgia centre on another glass building – Bidzina Ivanishvili’s mansion on the hills of Tbilisi. Built overlooking the city the complex strikes an ominous pose of dominance above the ancient district of Sololaki. 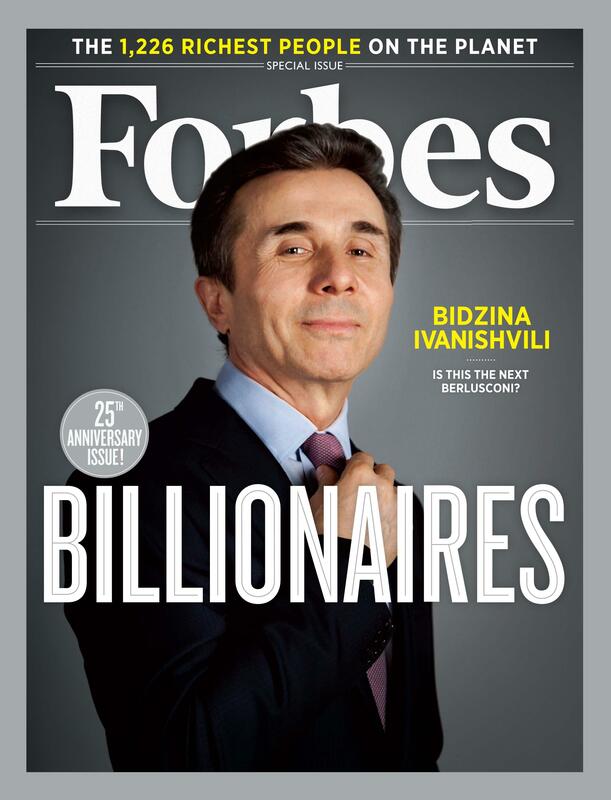 Ivanishvili is a Georgian billionaire and founder of the ruling Georgian Dream (GD) Party, and he is the man pulling the political and economic strings of the country from atop his Tbilisi perch. Though a prominent figure throughout Georgia’s modern history, it was not until 2011 that he truly made his mark on the country’s political landscape by creating the Georgian Dream Party. The then-President Mikheil Saakashvili was nearing the end of his second term in office. Despite the hostile personal relationship that Saakashvili held with Vladimir Putin he had taken notes from him on constitutional reform that would transition Georgia from a unitary style of government to a mixed parliamentary system. This would create a Prime Ministerial office which would take on many of the responsibilities of the president. Saakashvili’s increasingly erratic behaviour since the disastrous war with Russia in 2008, the emergence of a horrific prison abuse scandal leading into the 2012 elections, and Ivanishvili’s significant resources and name recognition, paved the way for a Georgian Dream victory in 2012 with Ivanishvili becoming Prime Minister. Georgian Dream won the presidency in the following election and Saakashvili’s time as a politician of significance in the country came to an end. Ivanishvili’s greatest contribution to Georgian democracy may have been his successful foiling of Saakashvili’s United National Movement (UNM) Party in 2012. This not only stopped Saakashvili from corrupting democratic practices in his own way, but also resulted in the first peaceful transition of power between parties in the country’s post-Soviet years, an accomplishment not to be overlooked. However, one year after claiming victory Ivanishvili resigned from office and politics, citing a desire to work with NGOs and to implement his dream to make Georgia a European democracy and Dubai-like business hub. Instead of contributing to the development of democracy within the country, this has hamstrung it significantly. Now, accountable only to himself, his business interests, and his own personal vision for the country, Ivanishivili can control Georgian Dream from afar and leave the daily running of the country to others. The minutia of leadership is no longer his but, as shown in the graph below, it is widely believed that any major governmental decisions are only made with his approval. This situation became more formal in 2018 with Ivanishivili being named as Chairman of Georgian Dream. By separating himself from the day-to-day political fray of the country Ivanishivili has created a farm system of potential political scapegoats; if an action is unpopular there is an entire infrastructure of politicians to fall on the sword. Beyond this, the current system projects a passable illusion of democracy and fairness. Elections are held, leadership changes, and, of utmost importance, the country continues to grow and develop. Such circumstances have allowed Ivanishvilli to successfully break the traditional cycle of Georgian leadership, or at least side-step it for a time. Since the fall of the Soviet Union, Georgia has had five presidents. The three that preceded Georgian Dream’s rise to prominence followed broadly similar political trajectories. The first, Zviad Gamsakhurdia, came to power in 1988 as the Soviet Union was collapsing. He spoke of independence and national pride and rose to power during a period of turmoil. This rhetoric quickly turned toxic and nationalistic, helping to create fertile ground for the civil wars that erupted within Georgia in the early 1990s. Gamsakhurdia was ousted in a coup d’état and replaced with Eduard Shevardnadze. Shevardnadze held office throughout the 1990s, struggling to grasp control of the country as it descended into a state of corruption dominated by the organized crime syndicate, the Thieves in Law. Throughout his tenure Shevardnadze played the West off Russia to keep his political career alive, maintaining serious ties with Moscow while simultaneously espousing a desire to develop democracy as to appease the US and Europe. Shevardnadze’s term reached its crescendo with the peaceful 2003 Rose Revolution, which brought about constitutional and democratic reform and resulted in Shevardnadze stepping away from power. Saakashvili assumed power with an incredible mandate. This lasted until it didn’t, and Saakashvili fell prey to a similar pattern of corruption and political delusion as his two predecessors. The narrative through lines of presidencies – rise quickly, rule, fall due to the corruption of power – may be a thing of the past for Georgia. On its surface this is a positive thing; breaking a cycle of strongman leaders obsessed over power is good. However, the structure of power now seemingly leaves even fewer avenues for political change than there were previously. Since Georgian Dream won control of parliament in 2012 the role of the president has greatly diminished. Giorgi Margvelashvili served as president between 2013 and 2018. Over the course of his time in office Margvelashvili saw the powers of the presidency further recede, culminating in him finding himself forced, against his will, to pass a constitutional reform making the office of president a position appointed by parliament from 2024 onwards. This made 2018 the last time the people would vote for president, an almost entirely ceremonial position at this point. There was much international news coverage surrounding the recent election of President Salome Zourabichvili, the country’s first female president. However, from the outset her candidacy looked to be a decision that had been made within the confines of Ivanishivili’s hilltop mansion. Any pretext that it hadn’t been was shattered when the election went to a (surprising) second round of voting. A messy campaign filled with vitriolic messaging ensued. Across the country billboards of just Ivanishivili were put up imploring voters to make the ‘moral choice’. To accompany this, the Ivanishivili-linked CARTU Foundation promised to wipe the debt of 600,000 Georgians just prior to the crucial final vote. 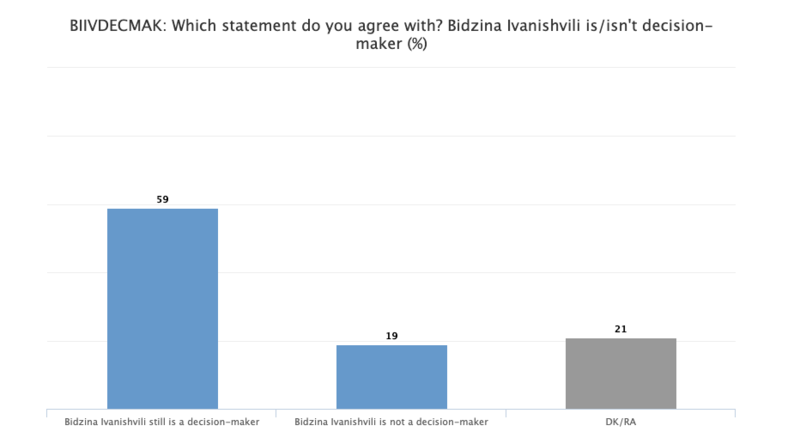 The illusion of democratic structures was put to one side, and it was made clear that a vote for Zouraichvili was a vote for Ivanishivili, a vote that could clear your debt. The real question is, who cares? Throughout all of this it is important not to lose sight of the fact that people know all of this; it is reported, criticised by some and supported by others. Furthermore, what Ivanishivili has pulled off is not a particularly uncommon practice in many regards. The Koch brothers’ shadowy rise to power in the US is comparable. “The facts paint a dramatically different picture. Georgia is sixth out of 189 countries in terms of ease of doing business, according to the World Bank Group. We are seventh among 82 countries in the Fraser Institute’s Economic Freedom of the World and 17th in the Heritage Foundation’s index. These are all valid points and speak to the progress that Georgia has made since the Rose Revolution. However, the crux of the problem, as De Waal and many others see it, is not that Georgia has fallen prey to widespread corruption hurtful to economic development. Instead it has ingrained acute elite corruption in which major developments all run through Ivanishivili. De Waal points to the stalling of the development of a new sea port in the coastal town of Anaklia as an example of this. This, De Waal argues, is due to the project being backed by former Prime Minister Giorgi Kvirikashvili who recently fell out of favour with Ivanishivili, trapping this gigantic project in the proverbial mud due to a single soured relationship. All of this is not new, nor unique to Georgia. However, Katsarava’s argument highlights a way of thinking about the politics that speaks to the democratic issues facing the country. Georgia has developed the strongest economy in the South Caucasus (per-capita), it has recently become part of the EU’s visa waiver programme, the tensions with Russia that dominated much of the Saakashvili era have cooled, and Tbilisi has undergone a dramatic transformation leading to its recent and widespread dubbing as the new Berlin. Things are not bad, or at least not as bad as they have been in the past. Although Ivanishvili may have set himself up as a monarch in all but name, the consequences of this have been tolerable, if not simply beneficial, for many. Recently Lossi 36 ran an article chronicling how Georgia had been downgraded in the Economist Intelligence Unit’s democracy index. This can be predominantly attributed to the nature of the presidential elections (tenor, debt wiping promises, and some reported voter intimidation and ballot box stuffing), the current state of the office, and the removal of democratic procedures for the office in future. In its summary of the election the Atlantic Council criticised the discourse that emerged throughout the election. They implored that “democratic governance is Georgia’s most precious asset” and that the negative rhetoric coming out of the election was damaging for Georgian democracy. Evidence supports this as polling data shows disengagement with the election by Georgians as this narrative unfolded. Georgian democracy is much like the country’s police stations: a glass house that when viewed from afar seems to have all the makings of a burgeoning democracy, a safe country with a developing economy that has tackled the widespread corruption of its past. However, while all of these things are true by in large, at its highest levels corrupt and undemocratic practices still rule, and the people perpetrating them seem less and less inclined to draw the blinds to hide this. Nick Baigent is a graduate of the University of Glasgow’s CEERE program who is currently living in Tbilisi, Georgia working on developing the Transcaucasian Trail and occasionally writes things for Lossi 36.